I'm Asha, a User Experience Designer and Researcher. I am a High-Tech Anthropologist at Menlo Innovations and a recent graduate from the University of Michigan. Previously, I was a Front-end Developer at Hewlett Packard. I believe that each designer has a unique perspective and mine is framed through my cross-cultural experiences and work with diverse organizations. With a background in Engineering and Design, I serve as an ideal collaborator on multi-disciplinary teams. Apart from problem solving, I love reading, photography and a hot cup of coffee. Feel free to reach me at shenoyk@umich.edu. 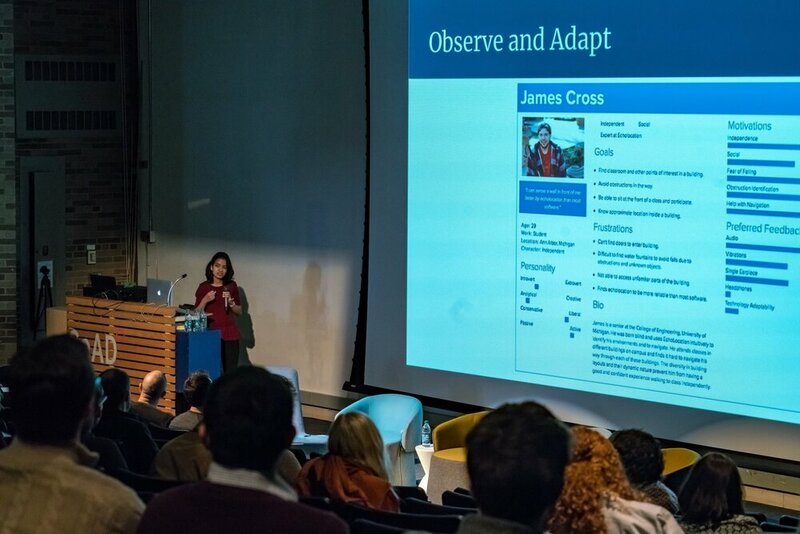 I presented a talk on 'Designing for Accessibility' at the Michigan Interaction Design Summit on March 9, 2018. My team was recognized as a Qualifying Finalist for our project Beyster Bluepath at the Campus of the Future competition at the University of Michigan.